Peter Roebuck is one of those rare men who fall into the ‘Renaissance’ category. To discuss his cricket as if it were the only thing in his life would be to suggest that he is about to depart this world. 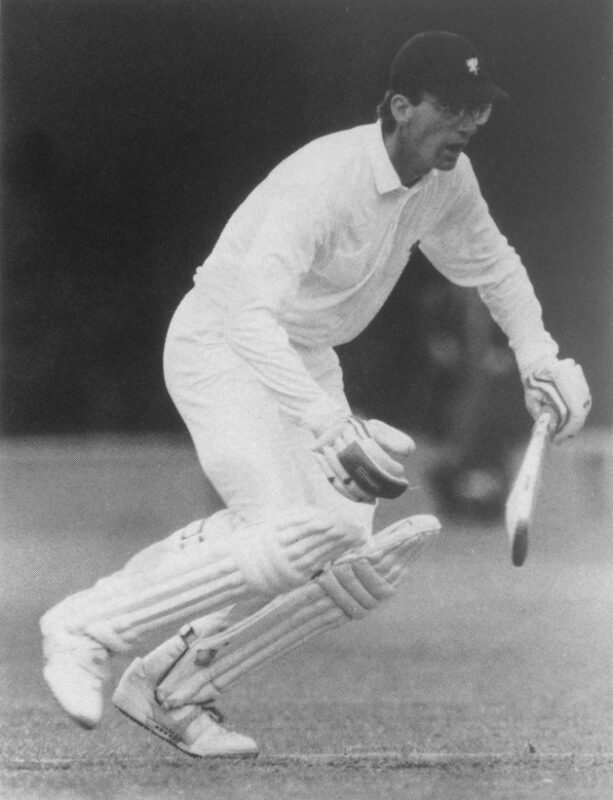 Where as, I suspect, when Peter Roebuck’s half page obituary appears in The Times sometime in the middle of the next century it will refer to his cricketing feats as just a passing interest during his youth. 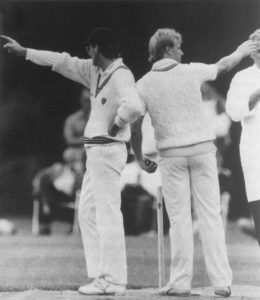 I still believe that the selectors were guilty of poor judgement in not inviting Peter to captain the England team in 1986 and then again compounded the error by failing even to select him in 1989. 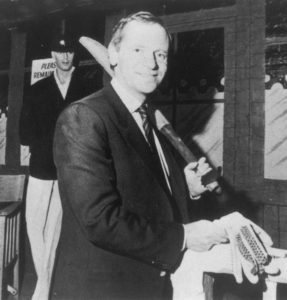 He is a man in the mould of J. M. Brearley, an excellent opening batsman, coupled with a rare knowledge and understanding of the game, given only to a few sportsmen in each generation. We in Somerset owe him an enormous debt of gratitude both for his role as our Captain and his doggedness on and off the field, not least when guiding us through that unhappy period after the departure of Botham, Richards and Garner. After many cricketers give up the game, one has to enquire of their friends as to what they have been up to since leaving their county ground. This is not a state of affairs that is likely to arise with P. Roebuck Esq for I believe that when he decides on retirement, the Sunday Times will have a writer of pre-eminence to cover the sport we all love much in the class of Neville Cardus and E. W. Swanton and I for one look forward to many years of having the game interpreted for me in great detail from every part of the globe with Peter‘s sure touch. I join all Somerset men and women in congratulating and thanking Peter for all he has done for the County in the past and all he will do on a wider canvas for us in the future while he remains one of Somerset’s favourite sons.